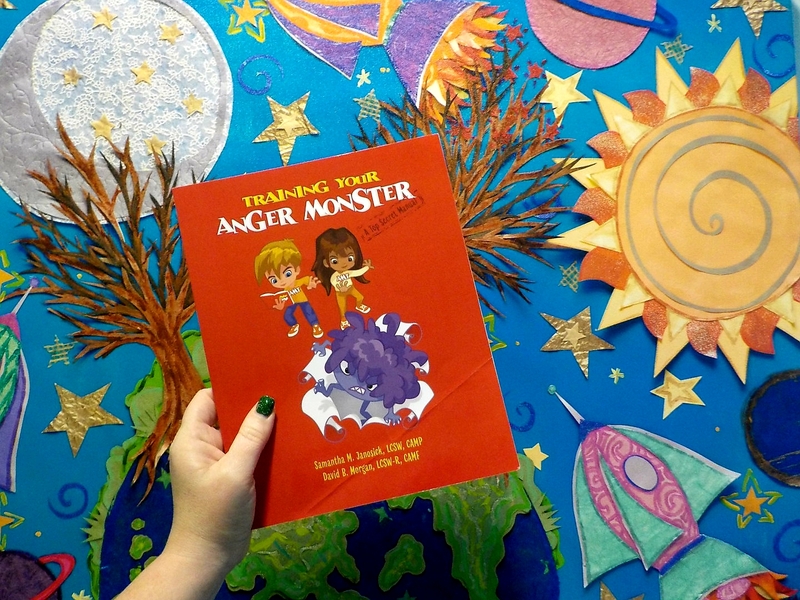 Training Your Anger Monster is a manual for kids who are struggling with anger outburst. Anger is introduced as a monster that is out of control and needs to be put back to sleep. The book includes short “training units,” exercises and daily practice sheets. Samantha M. Janosick LCSW, CAMP and David B. Morgan LCSW-R, CAMF are clinical social workers at the private practice in Long Island that David manages. He is a certified anger management facilitator and she is a certified anger management provider. The also authored Managing Our Anger, Managing Our Lives, an adult anger management workbook. You can learn more about Samantha and David here. Training Your Anger Monster is full of colorful illustrations and helpful worksheets. I really liked the way all of the lessons and exercises build on each other. By the end of the program, kids should have a basic understanding about their anger, language to describe their emotional experiences, and several practical coping skills. Training Your Anger Monster is designed for kids ages 6-12. Some kids in the upper end of that range may be put off by the illustrations but, if they are open, the exercises will be helpful. I think this book could be used in therapy sessions or sent home for clients to practice. It is simple enough that most parents who would like to work through it with their child should be able to.